Check out the latest Mercedes-Benz specials and lease deals from Mercedes-Benz Burlington! Luxury vehicles have a lot to offer, but that doesn’t mean you need to overspend on your next vehicle. With this month’s exceptional Mercedes-Benz lease offers and finance offers, taking home the Mercedes-Benz CLA or Mercedes-Benz E-Class that you’ve been eyeing is more accessible than ever. 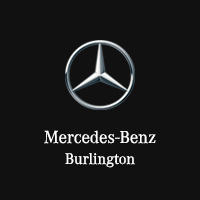 Our sales and finances teams know the Burlington market, and are ready to help you find the current Mercedes-Benz lease or finance offer that fits your lifestyle and needs. Ready to get on the road? Schedule a test drive to experience Burlington behind the wheel of the new Mercedes-Benz, or come in to learn more.